My first open water standard distance Triathlon is two weeks away. Actually less than two weeks! I am anxious and so worried blog. 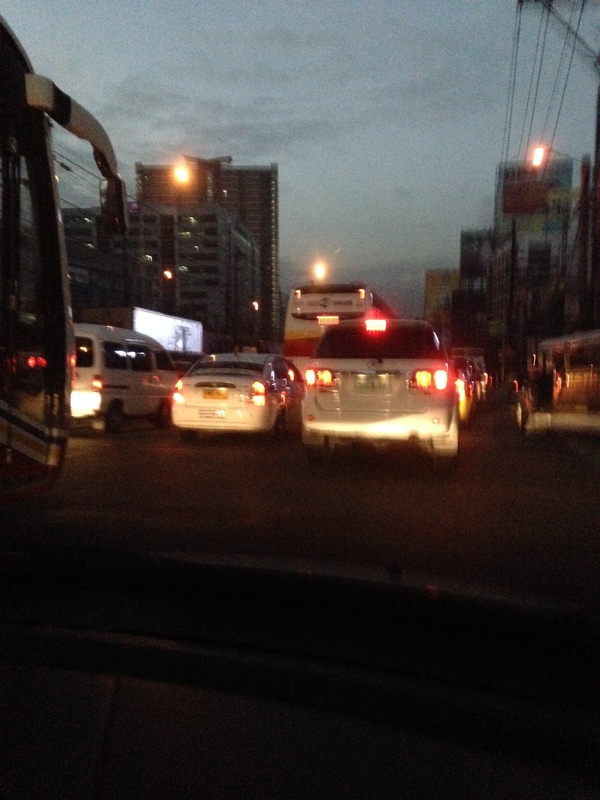 Traffic along EDSA at 6am! Too late to go to Nuvali so we ended up in MOA instead. Oh MOA. Oh people. Oh vehicles. Oh fast bikers. I decided – No cleats. I just hope that my legs won’t be too tired to run after the bike ride. Logged in 52k in 1 hour 58 mins, average HR 132, Max HR 157, ave cadence 73. Including stops to take photos. Haha! Ahhhh, now finally…a sport where I am not necessarily good at but at least one thing I know that I can do. Last Saturday after my bike ride, I was able to run 10k. 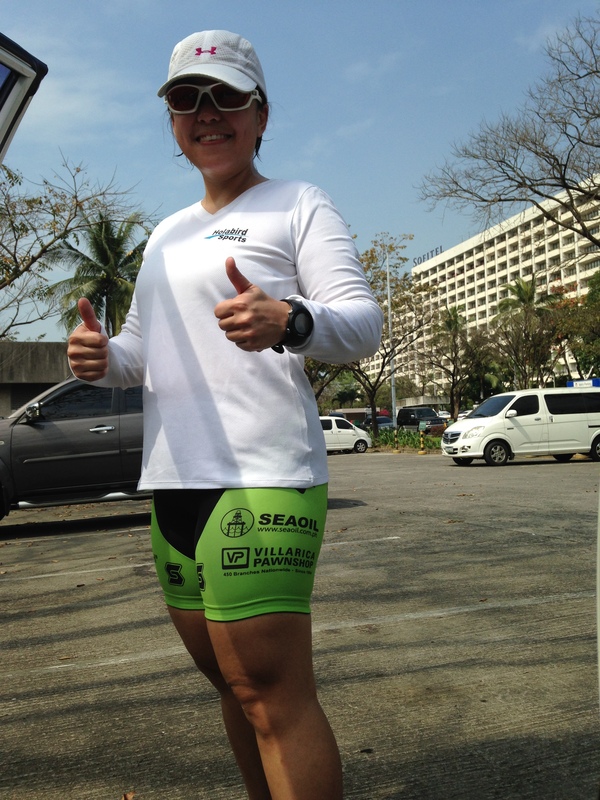 As expected, my legs were heavy during the 1st 5 minutes but eventually I was able to sustain the pace I wanted. 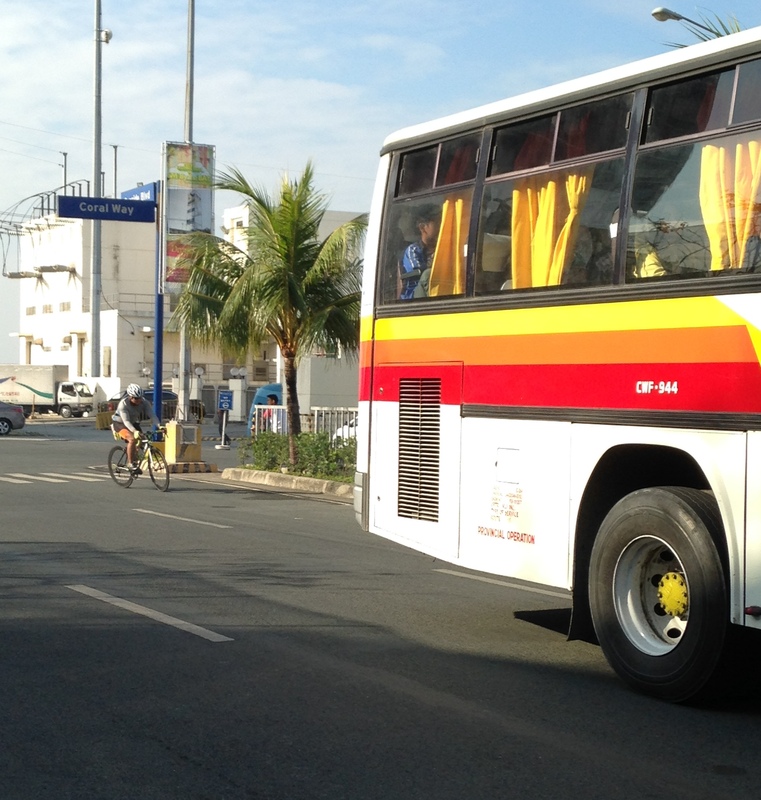 I was surprised that my legs adjusted even before hitting my first kilometer. The sun was out but I was in my element so I just ran. Hubby wanted to try running without socks (just like the pros, he said) and naturally developed a blister. Eeep! My tip: After the bilk leg, DO NOT WALK. Do not give in to the desire to walk. You will lose momentum and eventually you will lose your will to run. Increase your stride rate. It doesn’t matter if you’re slow as long as you’re not walking. Back to the topic. 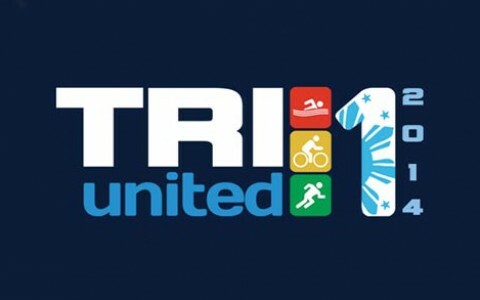 Am I ready for TriUnited 1? I honestly do not know the answer to that. I know I can swim. But is it good enough? It is as I would always say – Life threatening. I know I can bike. But can I do it without falling? I definitely know I can run. Well, at least I’m comfortable with at least one sport. 1/3 doesn’t seem like a good ratio…. I guess every beginner triathlete can relate.